Celebrities who Love Gardening as Much as You! Most of us have a small (okay maybe big) interest in celebrities. We also have a very big interest in gardening. So we thought, why not combine the two interests and learn about who we share our favorite hobby with? Oprah is an avid gardener, growing acres or organic crops on her estate. One celebrity that is known for her love of gardening is Oprah. 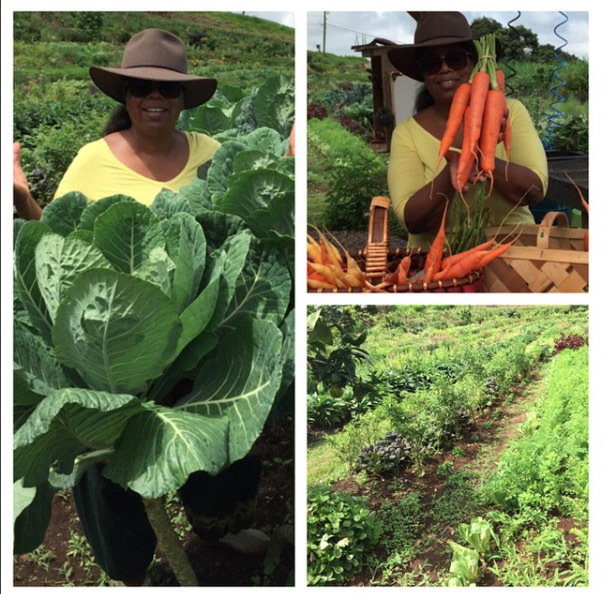 Not only does she have acres of gardens at her estate in Maui, she also posts about the fruits of her labors on Instagram all the time. Check it out when you get a chance. Michelle Obama enjoys teaching children about the importance of healthy eating and growing your own veggies. While her husband has many important topics to focus on, healthy eating has been Michelle Obama’s primary focus for years. 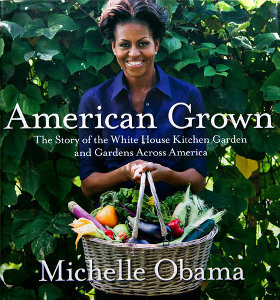 She grows her own vegetables at the White House and has helped many school age children learn about the importance of gardening and eating healthy. Beginning her gardening hobby as a way to provide her family with nutritious food, Julia Roberts often talks about her love of gardening. One tip for a healthy garden: use leftovers from the kitchen as compost for your garden. For some regular people and celebrities, gardening promotes healthy eating and organic living, for others it is simply a relaxing way to spend the day. No matter what your reason is, we garden lovers can all agree, it’s simply the best hobby for your health and well being. Garden on friends! Categories: Gardening Fun and Related Topics | Tags: celebrities that garden, celebrity garden, Edward's Garden Center, garden lovers, Oprah's garden | Permalink. 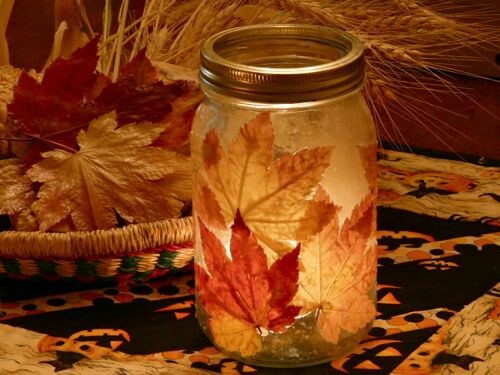 Fall is a great time to enjoy some crafts with your kids. You can easily bring all the colors of fall into your home in a classy, yet fun way. To help you and your family create some beautiful fall decor (and memories) we’ve collected a few projects for you to try out. 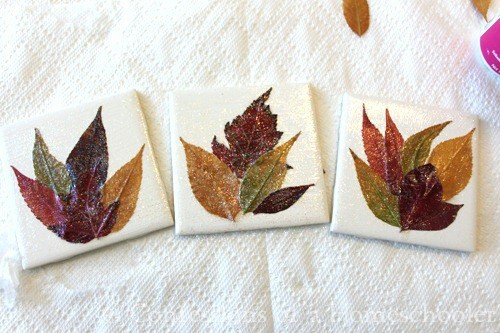 All you need for this easy project are a few white bathroom tiles, some leaves and mod podge. First, collect leaves from your yard or on a walk around the neighborhood. Next you’ll want to press the leaves inside a large book. You need to add weight on top of the book to make sure they are nice and pressed. Leave them there for 7-10 days. Next decide which leaves you want on which tile and lay them accordingly. Remove the leaves and paint a think layer of mod podge. Add your first leaf and then a layer of mod podge. Continue doing this until all of your leaves are laid out and painted over. Put one final coat of mod podge on and let them dry. You’ll know they are dry when they no longer look milky. These coasters make great homemade gifts for grandparents and teachers! What kids don’t like to finger paint? Send the kids outside to find the biggest leaf they can. 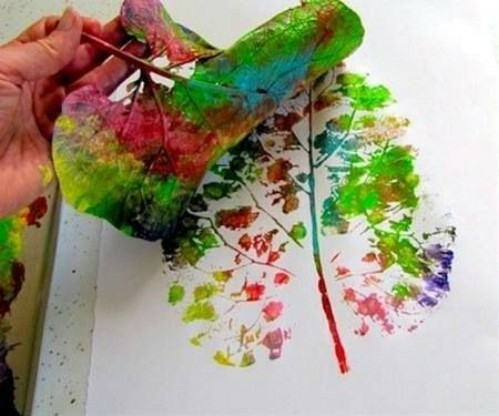 Have the kids paint the leaf in a variety of colors. Before the paint dries, turn the leaf over and press it against clean paper. This creates a beautiful tree because the leaf veins work like branches. This is a great project for toddlers and younger children. Leaf lanterns are a fun project for all ages. Collect a few mason jars, a bunch of leaves. mod lodge. Paint a layer of mod podge over the jar and stick the leaves on. You may want to do one at a time and paint a layer of mod podge over each leaf as you go. Once you have all the leaves on put a layer mod podge over the whole thing. Place a small candle in the jar. All three of these projects are easy to do with kids of all ages and lots of fun! Give a few a try and post pictures in the comments or on our Facebook page. Idea for this post came from DIYcrafts.com. Categories: Gardening Fun and Related Topics, Gardening Tips & Tricks | Tags: Edward's Garden Center Forty Fort, fall crafts, fall crafts for kids, leaf coasters, leaf lanterns | Permalink. Just because summer is over and spring is long gone doesn’t mean your garden is doomed to be dull. There are so many flowers that will bring color to your garden through the first frost. Most of these are available at the Garden Center. Stop by and ask one of our experts to point them out for you. There are so many mums available at the Garden Center! Everyone loves a beautiful “mum” in their garden. These flowers come in many colors and flower shape. They are a great addition to any outdoor space, in the ground or in containers and they also look great as centerpieces for holiday tables. We have mums all over the Garden Center. If you are looking for a particular color ask Debi, Rawlyn or Diane for help! The New England aster is another flower that comes in many colors including pink, blue, purple and white. They thrive in full sun and well drained soil. When flowering, the asters attract butterflies. Toad Lilies come in so many colors. This one is a Japanese Toad Lily. No fall garden can be complete without Toad Lily. 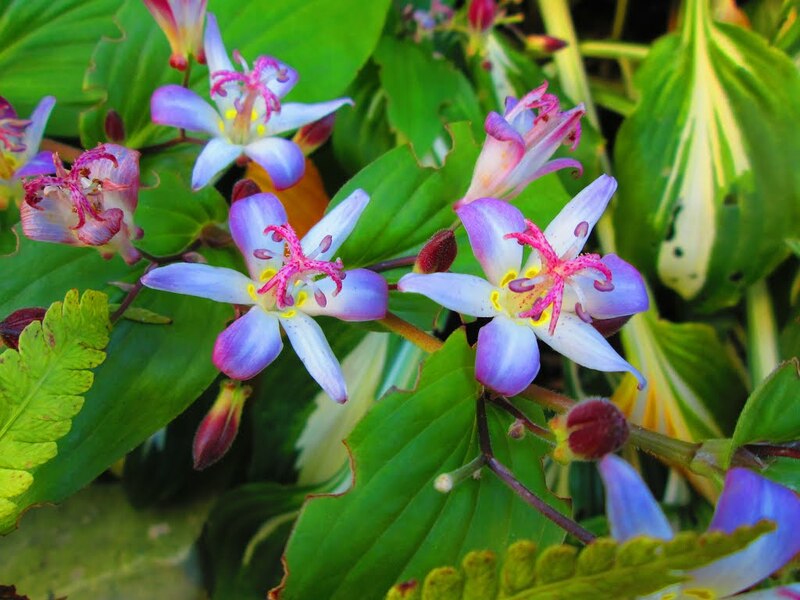 These Asian curiosities bloom with orchid-like flowers that demand a close look, when the garden is winding down in fall. They do best in light shade in humus-rich soil that retains moisture, and are suitable for borders or less formal parts of the garden and among shrubs gradually becoming large clumps. (BHG) They are also great for deterring deer since deer can’t stand the taste of them. This tough yellow plant can last through the heat of the summer and well into the fall. Colchicums look a lot like crocuses only with bigger flowers. Their large cup-shaped blooms appear seemingly out of nowhere, in bright pink, purple and white. These flowers can grow in the shade or sun so you can add them to any part of your garden. They also come back every year! 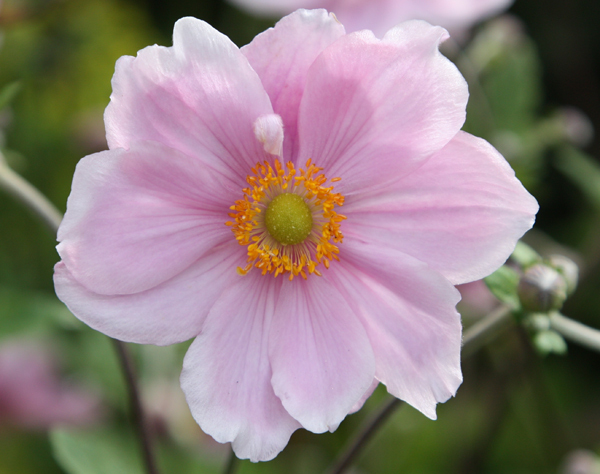 Japanese Anemone come in pink and white. This flower produces large poppy-shaped pink or white blooms, with large stems, making it a beautiful flower in the garden and an even more beautiful flower in a vase. If you add this to your garden, give it lots of room to grow as it tends to take over. Sage is traditionally a tough, hardy plant and this variety is no different. Mexican sage grows well into the fall and gives you garden a beautiful fuchsia feature. This plant can grow to be about three feet tall and likes full sun. While the annual sunflowers get all the glamorous press, the perennial sunflower is a true garden gem. The ‘Lemon Queen’, for example, produces gorgeous creamy-yellow blooms in late summer and early fall. The can grow 8 feet tall and enjoy lots of sun. 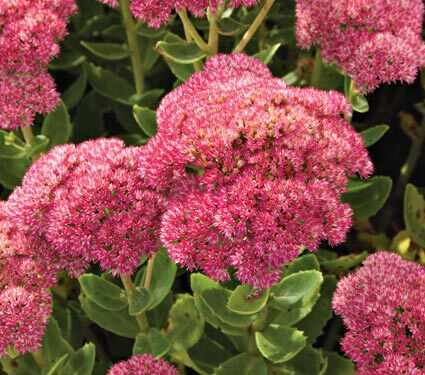 Sedum comes in a variety of pink and orange colors. This plant earned its cute name because of its funny shaped white and pink blooms. Even when the blooms die off, this plant has luscious greens that last until the frost. Make sure to plant your turtlehead in full sun to get the best blooms. Another extremely popular fall flower, sedum bursts into flowers at summer’s end. This plant likes full sun and well drained-soil. It can grow to be about a foot and a half tall. 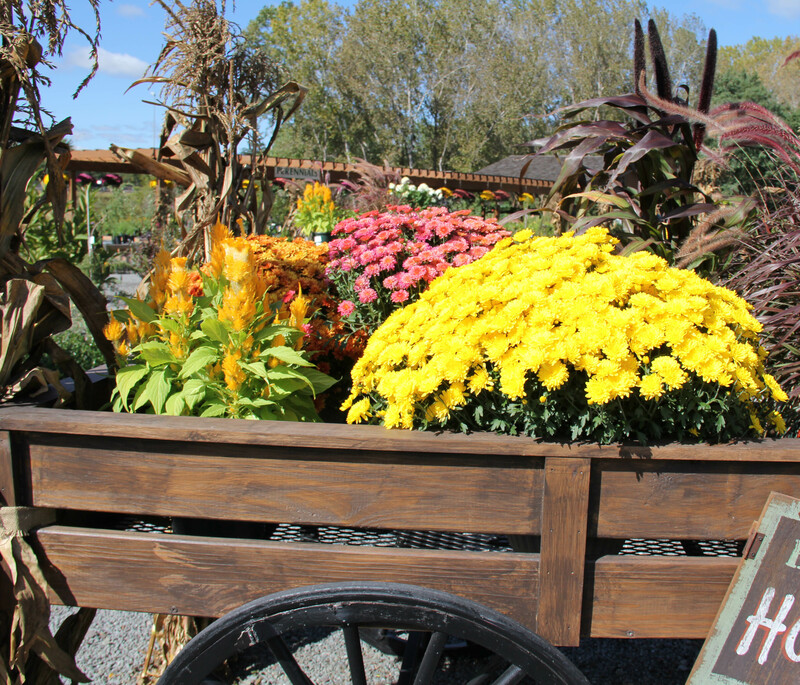 Hopefully we got your creative juices flowing with ideas on making your fall garden more colorful! As always, if you have questions stop by the Garden Center and speak with our experts. Categories: Gardening Tips & Tricks, In Season: The latest gardening trends | Tags: aster, Chrysanthemums, Edward's Garden Center, Fall flower, Mexican Sage, Sedum, toad lily, top flowers for fall garden, Turtlehead flower | Permalink.